When the sun finally makes a short appearance doesn’t it just give you a spring in your step to whip out the BBQ and drench your home in springtime Mr sheen? Instead you open the windows get hit by a slap cold air and reality when the sun is quickly covered by those dark British rain clouds! So we’re here to inspire you to freshen up without moving! stay in shop online at Bella Casa London. Scandinavian Countries often dine using long rectangular tables. We think if you have the space its the perfect addition to your kitchen or dining room. Perfect for gathering all the family around and immersing yourselves in conversation! 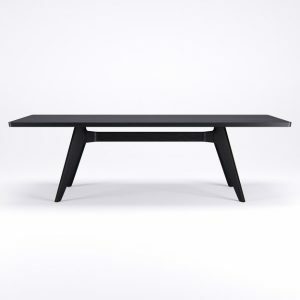 True to classic finish design is the Lavitta Rectangular Dining Table, available in 180cm and 240cm. Choose from Oak Top, Black and Walnut table top finishes. We love this kind of dining experience especially in time where we’re all have such busy lives! But Maybe Your living space doesn’t allow for a rectangular dining table, No sweat we have circular (round) styles to! Circular tables are fantastic for fitting in awkward spaces or combination rooms such as living dining rooms. I find circular tables use the most of a corner then square tables, easier to sit chair around and more surface area for those elbows! (if you know, you known) Lavitta Round dining tables are also available in the same colour choices as the rectangular, as well as 3 leg 100cm & 4 leg 120cm. After picking your desired dining table your going to need some new seats to measure up and match! It’s effortless shopping with us as we’ve already got this covered with Poiat’s collection of products! Lavitta Dining chairs have been design to match and fit perfectly with any chosen lavitta dining table. The wide variety of coloured lavitta chairs are also stackable perfect for moving out the way for the after party ay! 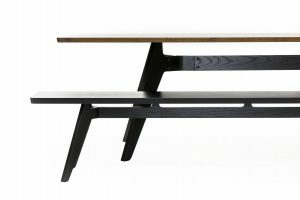 If your preference is the rectangular then decided between OAK or BLACK benches (both made to the correct size to perfectly fit the measurement of lavitta rectangular dining table). If you’ve chosen one of our Lavitta Round tables choose from 5 colours of dining chairs including Orange this years must colour! Can’t Choose no problem, we recommend using 2 lavitta dining chairs at the end of each rectangular dining table as well as 2 benches, alternatively pick the matching chairs to suit your chosen finish table but select 1 coloured chair as the master chair! Perhaps you don’t have a dining space instead a breakfast bar or high table. Bar stools are incredibly common and hard to find something that you haven’t already seen 1000 times amongst high street shops. We have something for you to! PLYable is on a mission to create home living furniture using as little waste as possible from 1 sheet of birch plywood, the bar stools they’ve constructed 2 d ifferent stools. 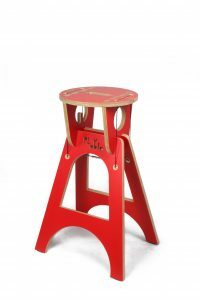 From a single sheet of ply they are able to create the 8x4x6 high bar stool, this cleverly slots together and fixed in place with a wire tension cable. It gets its name from an 8×4 sheet of ply and 6 stools are created leaving minimal waste for the environment. Alternatively the 8x8x15 low stool chair is made in the same way but as the stool is made to sit comfortably with a standard height dining table 15 are created in the same way! SIDE TABLES – More useful then you think! add a couple side tables that stack under one another and use them. Use this to place a lamp on top with a smelly candle or some books, this really helps divide the sofa living space from the eating dining space. MIRRORS – Not just a pretty sight! Reflecting light around the room placing a collection of small mirrors or one larger one helps not only make the room feel larger and bounce light but make you feel like your not just pushed up against that wall!